The ChristLife series is designed to be repeated and become the “core curriculum” for evangelizing and forming adults as missionary disciples, in your parish. It takes several cycles of running the ChristLife series before a big impact in the parish is felt and before people beyond the boundaries of the parish are reached. Ideally every single person in the parish and the surrounding neighborhood should be invited to personally encounter Jesus Christ and follow Him as missionary disciples. Our parishes need a regular venue where friends, family, and acquaintances to personally encounter Jesus Christ. One of the best ways for “graduates” of the ChristLife series to put what they’ve learned into practice is to serve as a team member in the next cycle of the ChristLife series. The Sharing Christ teachings explicitly encourage participants to consider serving as team members on upcoming Discovering Christ course. It is crucial to help participants move from being “consumers” of the ChristLife series to “providers” of the ChristLife series. Getting involved in service to others through the ChristLife series is one of the best ways to grow spiritually. In addition, it is important to have new team members to replace members from the previous year’s team who may be moving on for a variety of reasons. Parish leaders should consider how to provide nourishment for their team. Some parishes have chosen to host a celebratory team dinner after completion of one of the courses or the entire series. Other parishes have gathered team members for a day of recollection to nourish them between cycles of running the ChristLife series. Beyond running the courses, the hope is that participants build genuine relationships with one another to support the journey of discipleship. Ongoing small groups are a great way to support participants beyond the ChristLife series. 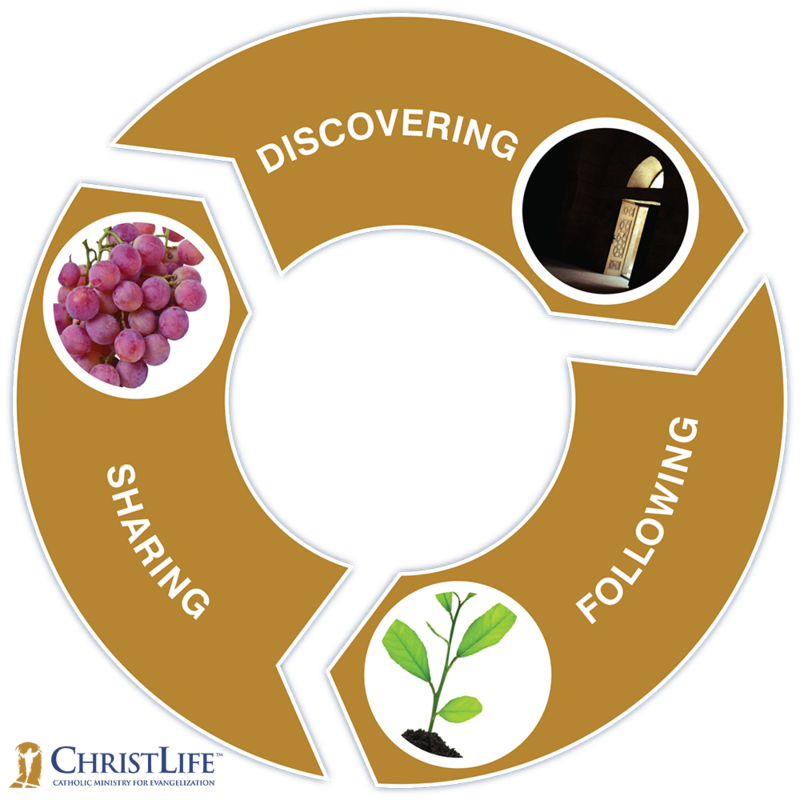 Small groups should be formed in a way that encourages participants to continue putting into practice what they learned through the ChristLife series. ChristLife has not developed faith formation resources beyond the three-part series. However, we have developed a webpage called Resources for Spiritual Growth Beyond the ChristLife Courses that provides recommendations for individual or small group use. Small groups should nourish the members of the group, while also having an outward orientation. The frequency of the meetings should not overwhelm people’s schedules to the detriment of serving on a ChristLife team. While forming small groups are ideal for helping sustain people’s spiritual lives, it is not always feasible given limited resources and people’s many commitments. A number of parishes have opted for monthly large-group “reunions” of people who’ve completed the ChristLife series. The format for these reunions is similar to the course itself – with lively prayer and worship, an inspiring talk or video, and small group discussion.